If members of the household (or its neighbors) can’t agree on the television volume, we recommend the BeHear NOW + HearLink transmitter bundle: HearLink is a Bluetooth® transmitter that connects to the analog sound output found on most standard television sets and other audio devices. It sends the audio signal directly to the paired BeHear NOW headset, thus eliminating ambient noises, room reverberation, and other types of sound interference which hamper intelligibility of speech and music appreciation. 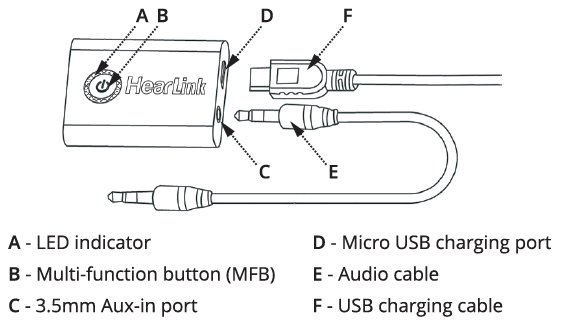 The BeHear NOW headset can be connected to the HearLink TV transmitter and to a smartphone at the same time. It allows you to watch TV with the ListenThrough technology activated (passing through important ambient sounds via the headset), and also get/make phone calls. 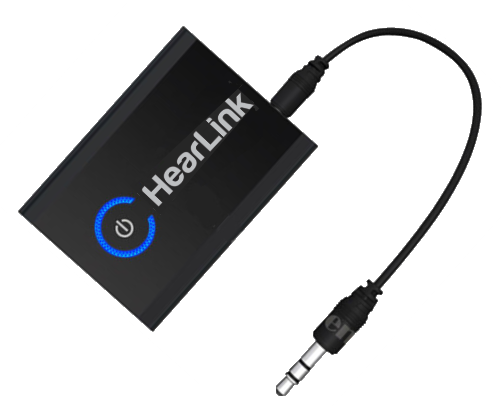 HearLink connects to the TV analog sound output and sends the audio signal directly to the paired BeHear NOW headset.